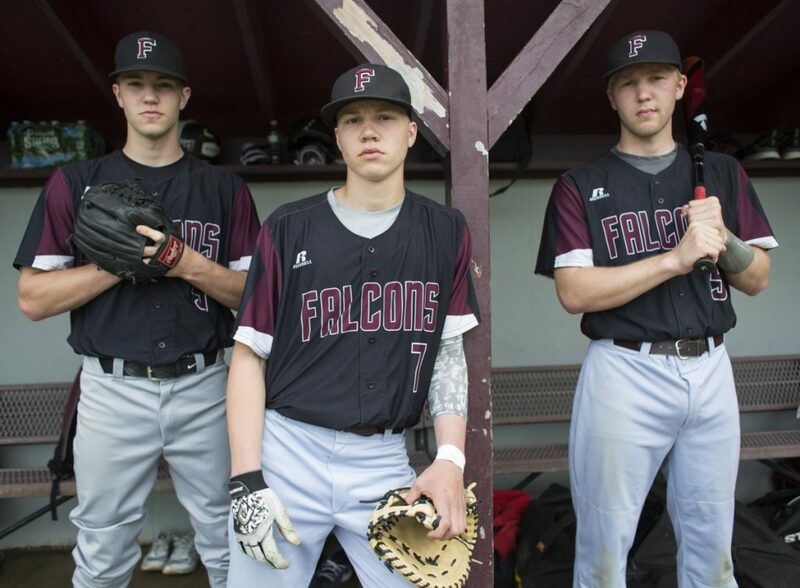 The three boys, in three different grades, make up one-third of the starting lineup for the surging Falcons baseball team. FREEPORT — The Wagner brothers of Freeport High have always competed against each other. Being three active, athletic boys separated by 29 months, their sibling rivalry has sometimes gotten testy. “When we were younger, we definitely used to go at each other a lot harder,” said Colby Wagner, a senior. This school year, Colby has been joined at the varsity level by both of his younger brothers – junior Shea and sophomore Gabe – in soccer, basketball and now as one-third of the starting lineup for the Falcons’ surging baseball team. Peter Wagner smiles when he describes the “joyful experience” of being able to watch his boys play and grow together. Once Gabe reached high school, the brothers began to have a better appreciation for each other’s personal strengths. 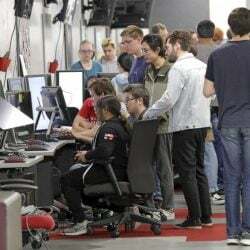 “They became good teammates, and I feel like they’ve become friends this year,” Peter Wagner said. “I always thought I was the most athletic one, and then watching them (in soccer and basketball) I’ve been like, ‘Yeah, I’m way behind them,’ ” Colby said. The relationship is strengthened by the brothers’ mutual recognition that each has a sport in which he tends to shine brightest. For Colby, a four-year starter at catcher, it’s always been baseball. Shea is regarded as the best of the brothers in soccer. Gabe has put in the extra time and effort to take the lead spot on the basketball court, even supplanting Colby from the starting lineup this past season. “Yeah, I worked for that one. I heckle him for that one, too,” Gabe said. OK, so the sibling rivalry isn’t completely dead. Another example is that Colby’s hair is dyed blonde. “That’s because I bet Shea in fantasy football and he won,” Colby said. It’s not a surprise that Peter and Elena Wagner’s boys would turn out to be good athletes. Both parents were high school standouts at Morse High of Bath in the 1980s. Elena Bell (maiden name) was “the best female athlete at the school,” said Peter, and went on to play three sports at New England College in Henniker, New Hampshire. Peter graduated from Morse two years later in 1988. He played football and baseball in high school, helping lead the Shipbuilders to the Class A baseball title as a senior. The Wagner trio has already helped lead Freeport to the playoffs in soccer and basketball. In both cases, the Falcons won a preliminary-round game before losing to the top seed in the regional quarterfinals. Baseball is shaping up as having the potential for a special conclusion. Freeport is 9-3 and has won five straight entering Monday’s game at Poland. The Falcons have beaten Cape Elizabeth, Greely and Yarmouth – three Western Maine Conference rivals that typically have held the upper hand. After Thursday’s 2-1 victory against Morse, Freeport moved into second place in the Class B South Heal point standings, behind Wells and just ahead of the preseason favorite, Cape Elizabeth. Colby Wagner is the undisputed leader in baseball. He’s hitting over .500 with a power bat, has a strong arm and controls the game. “It’s more confidence when he’s there catching, not just for me but for the whole team,” Shea said. Shea is one of Freeport’s top pitchers, with 25 strikeouts in 22 innings and an ERA under 1.00. As the team’s leadoff hitter and third baseman, he’s involved in all facets. Batting sixth and playing outfield and first base, Gabe has been a solid hitter (.260 average) with good speed and has excelled in the field. “We’ve lost count of how many web gems he’s made for us in the outfield,” said Freeport Coach Bill Ridge. Ridge is also Freeport’s basketball coach. Gabe said he has had to be the most competitive. At first it was just to keep up. Then it was a matter of making sure he would join his brothers at the varsity level.